AAA Action Doors supplies the Greater Las Vegas, NV residential homes and commercial businesses with garage door services. We are fully licensed and insured to extend high moral values, family-friendly customer service, and extraordinary execution on all of our services on a consistent basis. With the use of top-grade equipment, tools, and products exclusive to licensed professionals, AAA Action Doors technician’s skills and expertise are enhanced. Among the many garage door services we render, garage door installation for commercial buildings and residential homes are included. AAA Action Doors garage door installation service for both commercial and residential clients in the Las Vegas, NV Valley, are performed by experienced experts, our technicians have advanced training and continue their growth with ongoing seminars, classes, and continuing education programs to excel in the industry. Being exposed to the modern advances; our experts and can find the garage door that is right for you, and get it installed quickly and efficiently. Commercial properties in Las Vegas, NV and surrounding areas have trusted in AAA Action Doors for their garage door needs, and you can to. Having your garage door installed on your business is crucial for smooth operation. AAA Action Doors is not satisfied with our workmanship until you are. Taking great pride in our installation service, we strive for perfection. Selecting the door most conducive to your business is important, if you are unsure, our experts can make recommendations. After selecting the most optimal garage door for your Las Vegas, NV business, AAA Action Doors can install accordingly. Be sure to call AAA Action Doors today to get your commercial business’s garage door installed by the best. 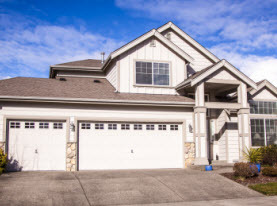 Residential homes in Greater Las Vegas, NV can find themselves in need of replacing their garage door or for the lucky homeowners building their home from the ground up, need to have a reliable source to install their garage doors. AAA Action Doors is dependable and affordable for your garage door installation service. With our expert technicians installing your garage door, you can rest assured that it will be installed swiftly and comprehensively. 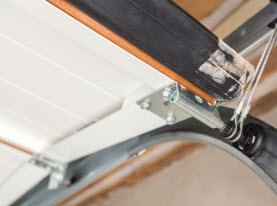 Residential garage door types include up, wing out, roll up, or slide from side to side, with their materials being engineered from wood, steel, aluminum, and insulation for energy savings. 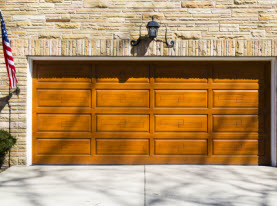 Once you know the garage door type and materials, finding the most optimal style and color for your garage is simple. If you are at a loss, AAA Action Door professionals can consult with you on the ideal selection. 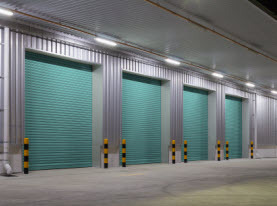 Businesses and homes needing commercial and residential garage door installations in Las Vegas, NV and surrounding areas can count on the AAA Action Door for premium installation, far safe, smooth, and sufficient performance. Call us today to get started!